1. Anyone considering or practicing unschooling/self directed education  for your children? 2. Were you home schooled/unschooled/practiced self directed education ? I am Considering this approach. Just finished reading free to learn  and Peter gray makes a compelling case for this approach. Also the documentary “schooling the world” covers some of the chilling effects of compulsory schooling. it has made me seriously question our current education system. 1. 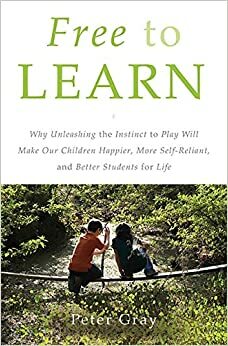 Anyone considering or currently practicing unschooling/self directed education ? 2. Were you home schooled/unschooled/practiced self directed education ? What’s your story? I am considering this approach for my children. Just finished reading free to learn  and Peter gray makes a compelling case for this approach. Also the documentary “schooling the world” covers some of the chilling effects of compulsory schooling. it has made me seriously question our current education system. A system that seems designed to surpress all of the critical skills one needs for the future. Would love to hear your story And thoughts? My daughter starts grade one this year so decisions have to be made on the school. We currently have her enrolled in a Montessori. I have been doing some research and not think the current education system is the best for the skills that would be needed in the future. originally started as a comment but think it deserves a full Ask hn. Edit: If you do not feel comfortable telling your story here mail me on username at ZyeLabs net. Or how and why parents and adults should really stop trying to control their children.